When you finally squeeze that last drop out of your Aloe Herb Cleanser, where does your bottle go from there? They're recyclable, so that's an easy green option. But if you upcycle them instead, you can give them new life. Most of our products come in Miron glass, which helps prolong their shelf life by blocking out light. That makes them great for storing your own concoctions, also! This article will give you some fun ideas for putting your bottles to use, along with recipes for some awesome DIY skin care. Want to add just a bit of oil to your salad, popcorn, or veggies? A spray bottle is an awesome trick. Once you're done with your toning mist, fill the bottle with olive or grapeseed oil (solid oils like coconut won’t work for this). This will help you get a little dose of healthy fats into your meal. This also works great to grease the bottom of a baking pan! 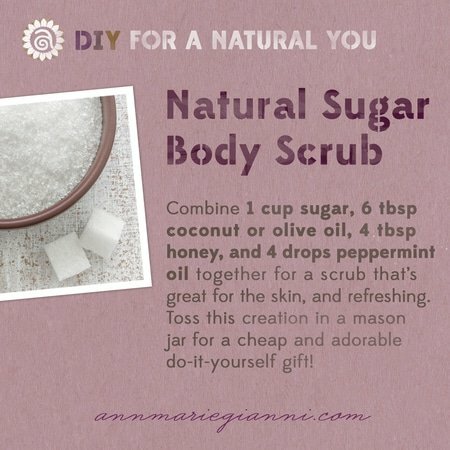 A body scrub is one of the easiest things you can make yourself. Our recipe uses sugar, but you can also use salt if you prefer. Adjust the essential oils to create a scent that you love, and consider adding coffee grounds to the mix (coffee is said to help with cellulite). You can store your scrub in your empty Dead Sea Scrub, Coconut Honey Mask, Ayurvedic Facial Scrub, or Purifying Mud Mask tub! Pictured is a scrub we made and stored in a Dead Sea Scrub container. When someone asks you how you got your rosy glow, you can say it's natural! 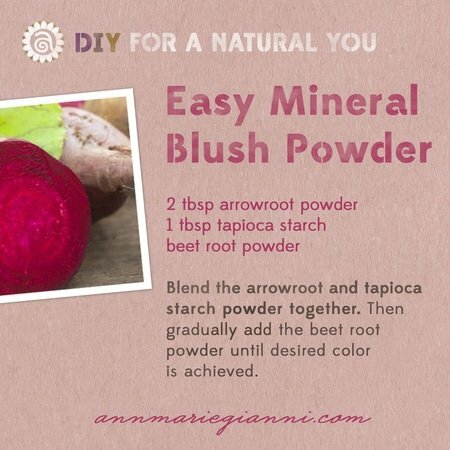 All it takes is three ingredients: arrowroot powder, tapioca starch, and beet root powder, and you've got yourself a natural blush. 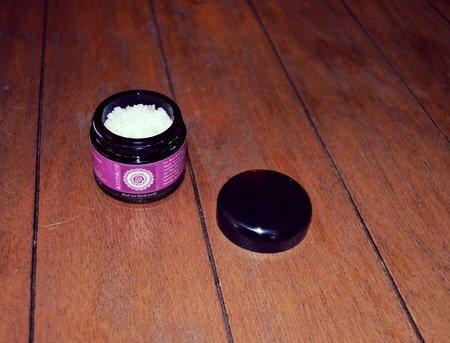 This stores well in the same containers we mentioned above—any of our scrub or mask tubs. You can never have enough flower vases. We like using the 200mL Coconut Body Oil and Radiant Skin Silk bottles to display small flower arrangements. They fit perfectly in a windowsill or can add some brightness to your desk space without taking up too much room. Our Facial Serum and Facial Oils come in Miron glass pump bottles that help preserve the contents and make for really easy dispensing. So rather than recycling them, why not refill them with your favorite carrier oil or essential oil blend and use them again? You can even give these as gifts! 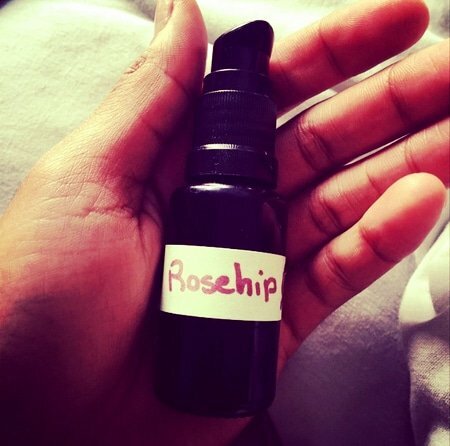 Here, Niquita removed the label from her Citrus Stem Cell Serum bottle and refilled it with another favorite—rosehip oil. Have combination skin? Here are some carrier oils and essential oils your skin loves. 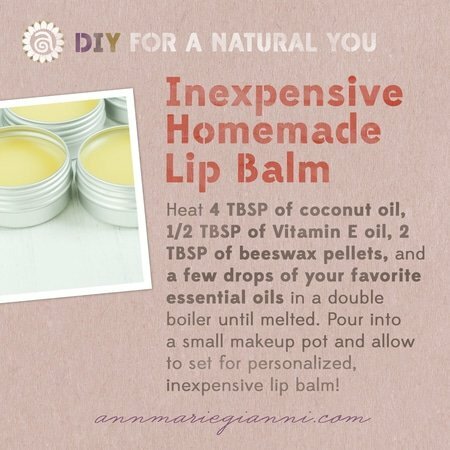 Making your own lip balm is surprisingly easy. With something you're putting on your lips, it's extra important to know exactly what's inside. And you can store your homemade lip balm in your empty sample tubs (from cleansers, masks, and scrubs). These sample containers are more useful than you'd think! Another cool thing, for artists out there, is to use the tubs to store water color paints that come in a tube. Simply squeeze the paint into your clean sample tub (the cleanser, mask, and scrub containers) for a storage-friendly paint palette. 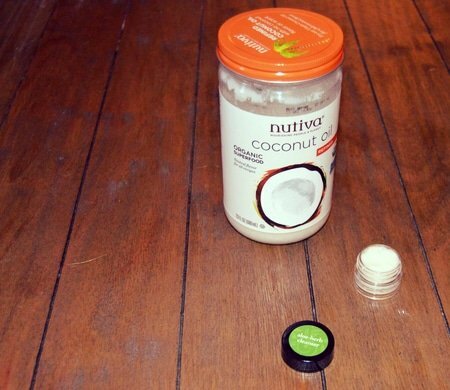 If you don't want to go through the trouble of making the lip balm, you can use the tub to store coconut oil for an easy, on-the-go lip saver. We added a little peppermint oil to ours. Have you gotten samples yet? Click here to try some of the most popular products from our line! 7. Toning mist bottles to water plants: Simply clean our your toning mist bottle and refill it with water. Give your plants a spritz when they're thirsty. 8. Refill Rosemary Body Wash bottles: Who doesn't love an easy pump hand soap? You can refill your Rosemary Body Wash with some Dr. Bronner's, diluted, and keep by your sink for hand washing. 9. DIY Candles: Our mask and scrub tubs are the perfect size for storing DIY candles! 10. Hair treatment spray: Toning mist bottles make it really easy to apply hair treatments. 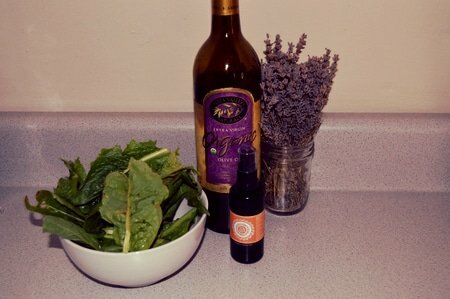 Make your own and store it in your empty toning mist bottle to keep your hair super healthy. Since our Rosemary Toning Mist is good for your hair, Courtney added some jojoba oil and eucalyptus oil to hers to create an amazing hair treatment. She sprays it on and leaves it for ten minutes before washing it out. 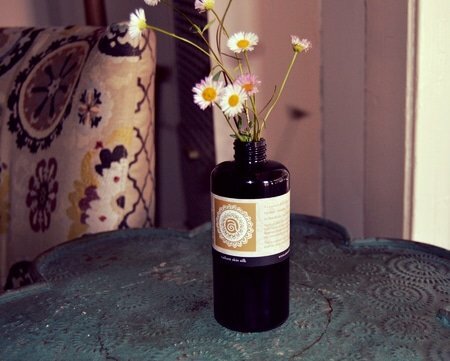 How do you reuse your Annmarie Skin Care bottles? Let us know in the comments below! My mum uses an empty facial cream bottle to store supplements for my dog consumption though she washed it real clean with no smell, is it safe? If it’s one of our bottles, it’s safe to use! How can I wash out & fully dry the pump mechanism? I want to reuse my waterbased serum bottles for my oil only blends. You could try to pump water through it until it’s clean. Leave it to dry for a day or two and made sure that it’s all the way dry. Like the other ladies, I would LOVE to get that recipe for the nice smelling insect repellant!! Like Suzette, I was just wondering the same thing and was going to contact you. I’ve upcycled as suggested above, but still have too many bottles! Lol. Any chance AMG is considering a bottle return program? I hate to just recycle them. Knowing they’re costly, I’ve wondered if AMG would benefit by a program such as this. Thanks for the ideas. It’s like you guys read my mind! I swear, just a couple of days ago I was thinking that I might e-mail and ask if you guys wished to re-purpose your bottles because my collection is now starting to grow. Then I opened my e-mail and, lo and behold, this helpful article. These are fantastic ideas, and I appreciate the relatively simple DIY recipes. Incidentally, maybe Elaine can tell us what is in her recipe for insect repellent? My homemade insect repellant does NOT smell good. And my hand sanitizer is plain colloidal silver in a spray bottle. Please share your recipes Mindy and Elaine! I am always on the look out for homemade products that work! Thank you. I am very interested in this ‘home made natural oil insect repellent’. Are you able to share the recipe? I use the large bottles from the aloe cleanser for my home made natural oil insect repellent and give my friends samples of it in the small bottles. BTW: the insect repellent smells so good everyone asks me what perfume I’m wearing… and it WORKS! I reused a few of my bottles by filling them with homemade Citrus-Mint hand sanitizer. I applied homemade labels, and gifted them to my boys’ teachers for holiday gifts. So much fun to do, and the gifts went over well :). Would you please share your homemade Citrus-Mint hand sanitizer?